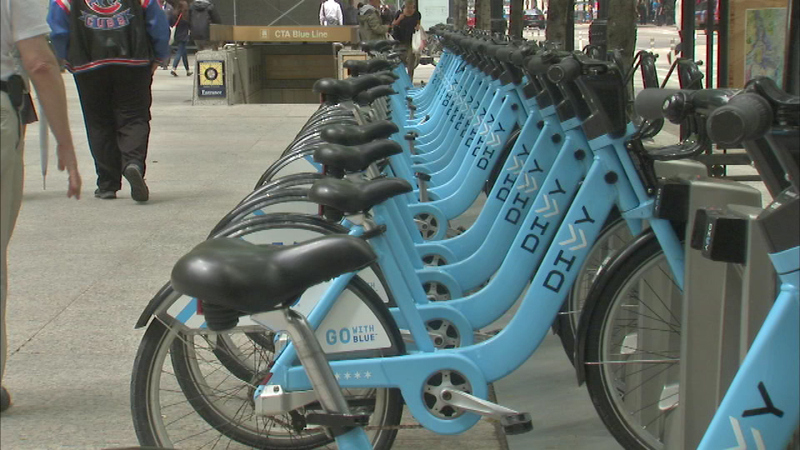 CHICAGO -- Divvy is expanding their 2015 summer valet service at several large-scale Chicago events to ensure riders can drop off their Divvy bikes with ease. Divvy will have attendants on hand at designated "hotspot" stations to ensure riders have a guaranteed bike dock available when they arrive. "Divvy has proved to be a very popular transportation option and we want Divvy riders to rest assured that they can plan on Divvy-biking to special events and not have to worry about finding an empty docking station," said Chicago Department of Transportation Commissioner Rebekah Scheinfeld. Divvy Valet will on hand for the holiday weekend's July 4th celebrations and Grateful Dead concerts, as well as the Taste of Chicago, Pitchfork Music Festival, Lollapalooza, Riot Fes and select other summer events. A full list of events and effected stations is below. Divvy also offers everyday valet service at designated high volume locations on weekday mornings, weekday evenings and weekends.